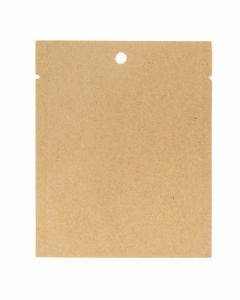 Kraft heat seal bags with product windows offer a packaging solution that is 100% compostable. The KHS46W bag measures 4" x 6" and is ideal for packaging ground coffee, cookies, nuts, and other snack items. This bag is made of Kraft paper and has an inner PLA lining created from plant-based material. FDA approved and heat sealable. ASTM D 6400 and DIN EN 13432 certified. 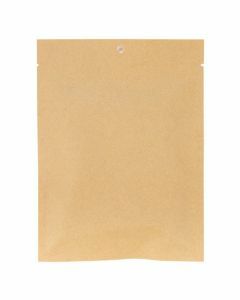 If you want sustainability in your product packaging, our Kraft heat seal bags are 100% compostable. Our KHS46 bag measures 4" x 6" bag and is made of Kraft paper and lined with a plant-based PLA film. 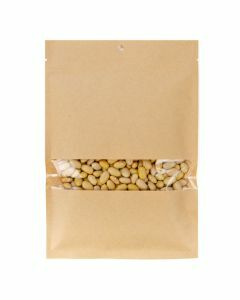 Try this pouch for an attractive, eco-friendly choice for ground coffee, dried fruit, sunflower seeds, cookies, and more! Food safe. 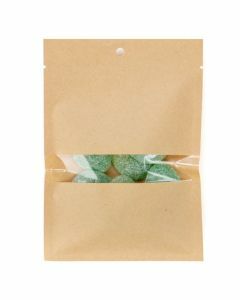 Kraft heat seal bags offer an attractive green packaging solution with a natural vibe. 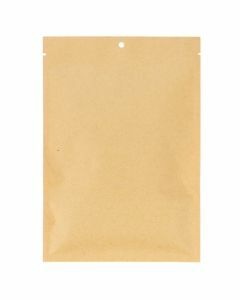 Our KHS57 Kraft bag measures 5" x 7" and is ideal for food items. FIll this pouch with ground coffee, trail mix, dried fruit, granola bars, and more. The interior is lined with PLA (Polylactic Acid) material, which is derived from plants. This pouch is 100% compostable and FDA approved. 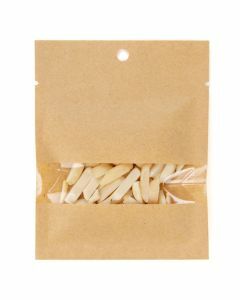 Kraft heat seal bags offer attractive packaging that is 100% compostable. The KHS69W bag measures 6" x 9" and is designed with a clear window to showcase your product. 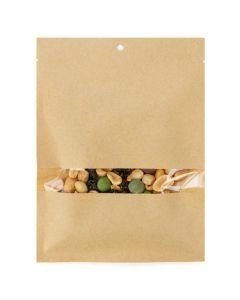 Ground coffee, granola, dried fruit, and nuts are a great fit for this eco-friendly bag. This bag is FDA approved and has an inner PLA lining made from plant-based material. ASTM D 6400 and DIN EN 13432 certified. Are you looking for green packaging for your retail food products? 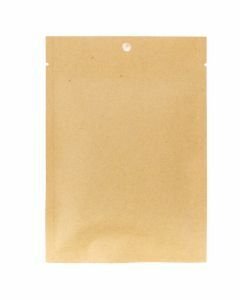 Our KHS69 Kraft heat seal bag measures 6" x 9" and is ideal for ground coffee, cereal, granola, and more. This bag is made of Kraft paper and has a plant-based PLA lining so it is 100% compostable. ASTM D 6400 and DIN EN 13432 Certified.